Kevin’s primary objective is to help individuals, families, and business owners identify their financial security needs and then focus on strategies that aim to help make their goals a reality. By providing investment, retirement, and insurance strategies he helps them feel confident about their long-term financial future. Kevin attended Shippensburg University where he majored in Business Management/Entrepreneurship. 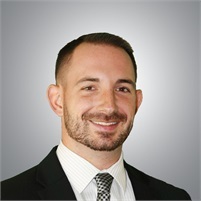 He started his financial services career in August 2010 at Northwestern Mutual afterwards transitioning to the independent side of the business with Secure Planning Group, LLC. He currently resides in Exton, PA with his wife Erin, daughter RaeLynn, and boxers Brady and Maximus. In his free time, Kevin enjoys coaching West Chester Legion Youth baseball, playing in the Coatesville adult baseball league, watching sports, and attempting to improve his golf game.